Viola Davis is doing big in this lifetime. Not only was she nominated for an oscar but she has proven her track record of being the best in this business putting her all into any and every role she desires to play. She has a beautiful presence inside and out. 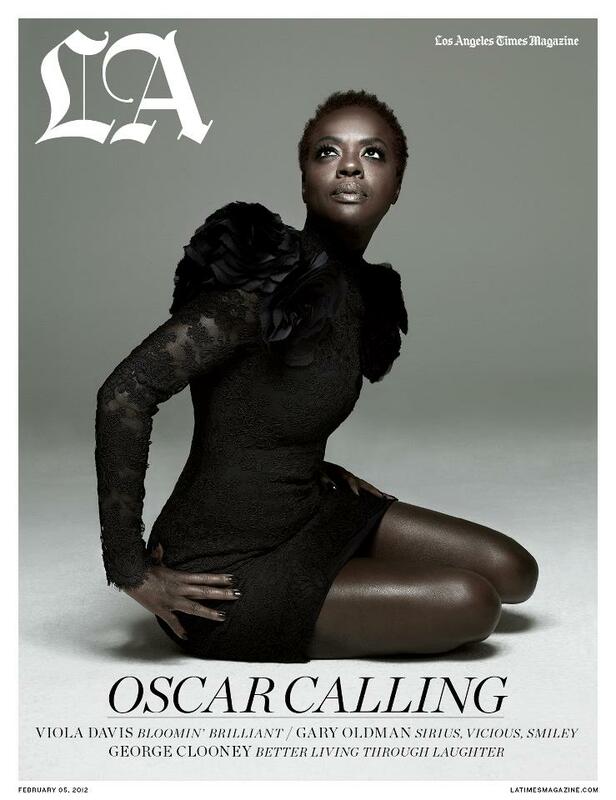 Take a look at the stunning fashion images for this latest cover of LA Times Magazine. Ms. Viola is doing it and doing well. Natural beauty and all. “I don’t feel bitterness,” she insists. But even as a second Oscar campaign awaits for her part in The Help, Davis is not afraid to point out the weaknesses in her industry. Her next target isn’t another lead role. It’s producing, a task she feels she must undertake if she and other black actresses are to get more fulfilling work. Young people need to be mentored to aspire to something fulfilling.